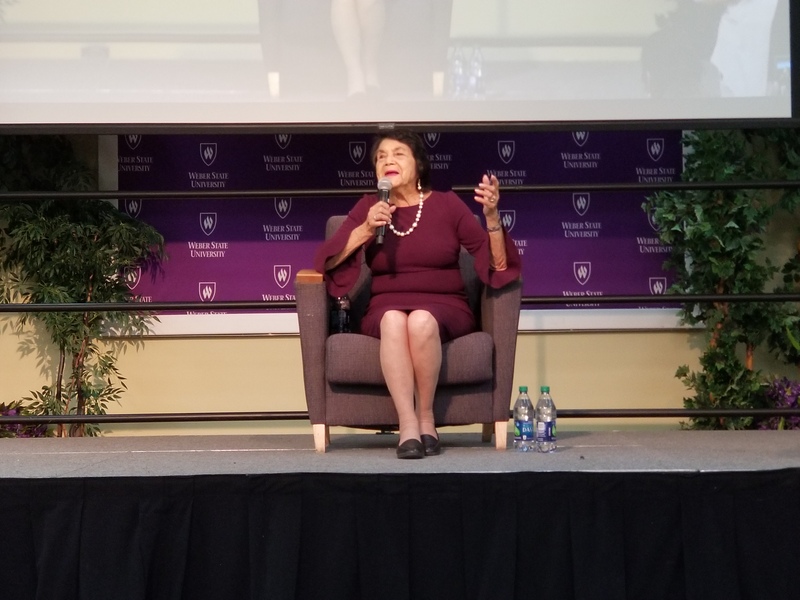 Dolores Huerta, a well-known Chicana activist for immigrant farmworkers, visited Weber State in honor of Hispanic Heritage Month. The event took place with the help of Chief Diversity Officer Adrienne Andrews, Teresa Martinez, and Andrea Hernandez alongside the Office of Access Diversity. Plans to host Huerta have been in motion since 2017. Huerta spent the majority of her life being actively involved in civil rights and serving her community. Huerta’s message heavily focused on the current American political climate and the history that the U.S. has regarding people of color. “This is such an important moment in the history of our country, and oftentimes we wonder, ‘How did we get into this place we are in now?’ I believe that one of the reasons we are in the situation we are in today is because we have what I call, a visible ignorance,” Huerta said. Huerta spoke on the ignorance that some citizens have about the history of the U.S., involving the mistreatment of people of color. She also discussed how school systems can be the primary cause of this ignorance. Some of Huerta’s key themes included a school system that was unfair to students who identify as Black or Latino in California, the inadequate reparations to Native Americans for historical injustices and the right to unionize in work places. These were all tied into Huerta’s main theme of activism and its foundation in local communities. “(Cesar Chavez and I) would tell farm workers (about unionizing), ‘You have power, but the power is in your person and that’s all the power that you need. But you can’t do it by yourself; the only way you can come together and organize is by all of you coming together because one person cannot do it by themselves’,” Huerta said. Chavez and Huerta were a part of a unionizing movement for farm workers, a majority of whom were immigrants, to advocate for rights and higher pay. This activism lead to the Delano Grape Strike of 1965 and helped create the organization of the United Farm Workers, of which both Chavez and Huerta are cofounders of. Andrea Hernandez, diversity and inclusivity organizer, who assisted in getting Huerta to Weber State, was very pleased with the turnout, especially the Latino community within Ogden. “For someone as iconic as her to come and share her story and inspire people who look like her, including myself, to create this social change and be civically engaged is just so powerful … especially during this time where we might not feel that we can be game changers,” Hernandez said. News of Huerta’s arrival and keynote speech spread throughout social media, bringing guests from other cities and universities. Sarah May, a student from Westminster College, took the opportunity to hear Huerta at WSU. May is involved with events empowering women of color and felt inspired hearing Huerta’s speech. “Unless you study, in-depth, the farm workers union rights, you don’t know who she (Huerta) is, and it’s a shame because as a Latina, as a woman of color, she is such an inspiration to me. She had all the odds against her, but she saw what was wrong and something needed to be done about it . . . it’s empowering to see her story and share her experiences,” May said. Influential people like Martin Luther King Jr. are usually spoken about in schools, but female influencers like Huerta aren’t taught as often. Attendee Destina Bermejo felt like Huerta’s work should be taught to students, especially alongside other historical figures. “When we’re talking about history, women get left out so much. So, to have her not mentioned in history books or standardized education or public schools, it’s erasing all the amazing work she’s done and still continuing to do,” Bermejo said. Many of Huerta’s experiences in civil rights involved sacrifice, but activism is a family project, and something her daughter Lori Huerta knows very well. Lori Huerta works as an administrator for the Dolores Huerta foundation, and participates as a legislative associate. She visited WSU alongside her mother. “We (the children) were their (Chavez and Huerta’s) first workers, going door to door passing out leaflets through all the small farm worker community towns in the valley. It was very family-oriented. And more people and their families came out and everybody got involved,” said Lori Huerta. The Dolores Huerta Foundation’s message is focused on civil changes and social justices. These happen through community members who are willing to work, said Lori Huerta. Asking for social change from communities doesn’t necessarily mean marches and protests. Huerta says changes come from community members running for political and local offices, campaigning, calling local legislators and voting. “The people that we elect are the ones that make the decisions about what’s going to happen to our lives. It’s really wonderful to march, and it’s wonderful to protest because we influence the public and they know what our issues are and what we’re fighting for, but it really doesn’t change unless you elect people who are going to make the laws,” Huerta said. Huerta’s talk was a highlight of Hispanic Heritage Month in Ogden. 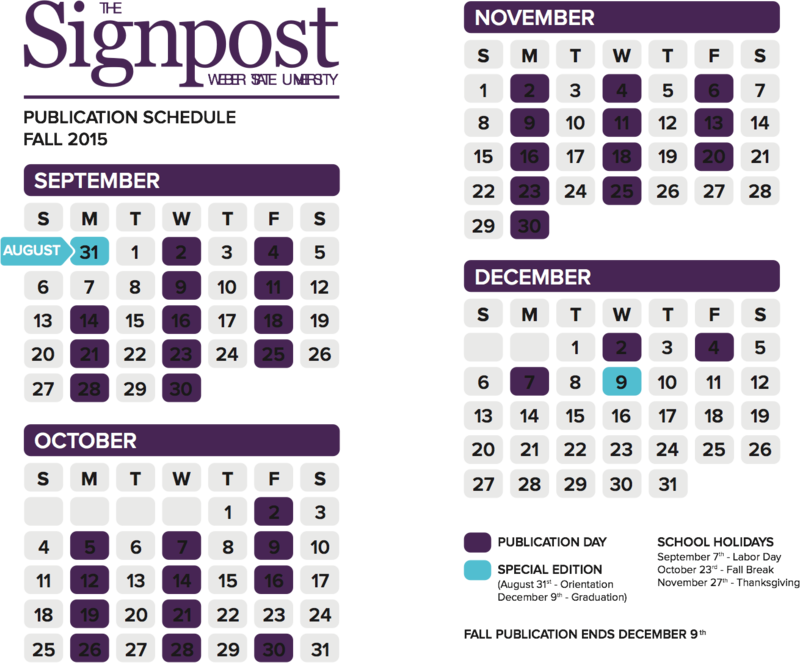 Many more events are happening before Oct 15. For more information visit weber.edu/diversity.